Retreat F U N !! 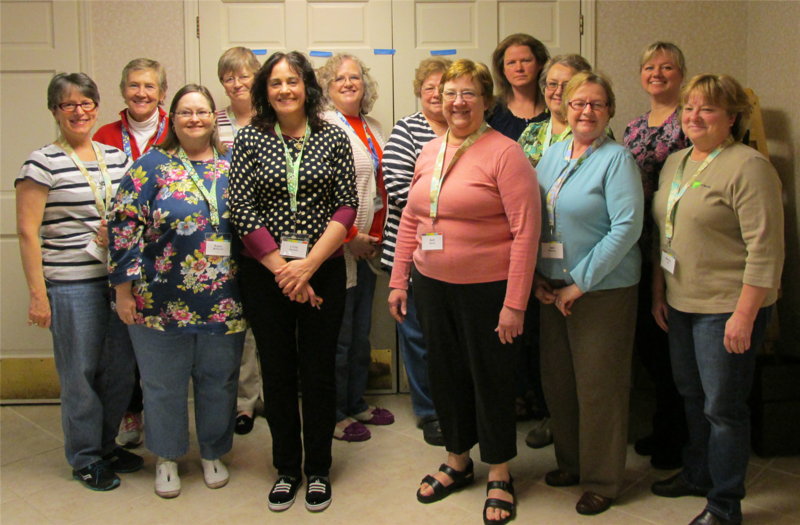 The 2014 Sew Modern Retreat has ended – it was SEW much fun!! Quilters came from South Carolina, Charlotte, Ohio and the Blowing Rock area to quilt, sew, laugh, shop and share. We dined together and went to the area quilt shop together. We had to buy more fabric, right?? And, each of the attendees put together a block for a charity quilt that will be put together in the next few weeks. This was such a talented, helpful and knowledgeable group. I am just sorry that I did not get pics of more of the projects being worked on. Hope you all come back next year ladies! Games and Prizes, Oh My! Posted in Quilting, Quilting Retreat and tagged charity quilts, Quilting, Quilts, Retreats, Sewing. Bookmark the permalink. I would’ve loved to attend, but scheduling did not work out for me. How often will you be offering these retreats? The next one will be April 2015 – hope you can join us then! I’ll be posting the date this summer and sign-ups in November, 2014.